Welcome to Walden Woodworks, owned and operated by Mike Fournier and Katherine Tam. Hand-fit traditional joinery, time proven construction techniques and real world design reveals the unmatched presence of wood and is the heart of our workshop. Micheal B. Fournier is an Edmonton based woodworker who specializes in cabinetry, millwork and contemporary custom furniture. A background in carpentry, cabinet making and architectural millwork eventually led to a 5 year apprenticeship at the Cotswold Studio in Edmonton. It was here fundamental joinery, veneering, and design techniques were taught and would later become standard construction practices at Walden Woodworks. Clean lines and a focus on functionality are always considered when designing new pieces with clients. 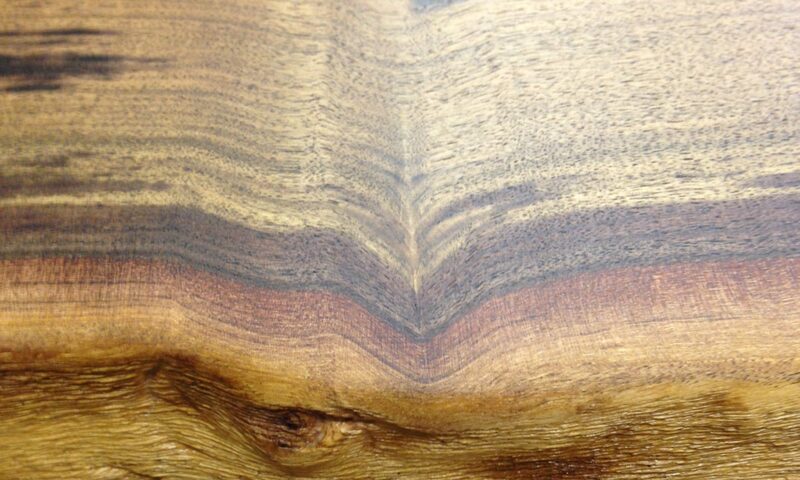 Wood species and grain choice are carefully considered in order to spotlight the woods beauty and harmony in the home. Grabbing the next board off the pile and chopping it up to the required size is not practiced here. Over the years specialized techniques have also been added expanding design options. Bent lamination, shop cut veneer and veneer matching/pressing, string inlay, ammonia fuming/bleaching, surface texturing and Shou Sugi Bon wood scorching are interesting options available at Walden Woodworks. The Japanese technique of Shou Sugi Bon wood scorching/preserving is now offered at Walden Woodworks. Decking, railings, trim work, fascia boards, siding and fence boards treated with this technique have a unique color, texture and beauty without the use of paint or chemical stains. The items displayed in the Walden Woodworks Market are available for custom order or immediate purchase in the Edmonton, Alberta area. CONTACT US for purchase and delivery details, delivery charges may apply.